This problem happens in specific scenario. 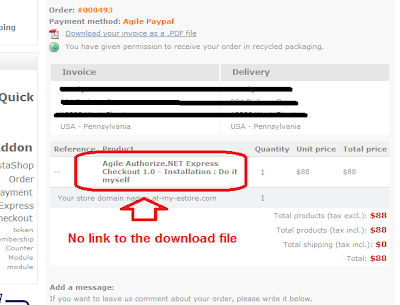 Usually there is a link on the product name to download the virtual products. But if you have a virtual product (downloadable product) with a customization fields, then at My Account area, Order History page, the download link will not appear. 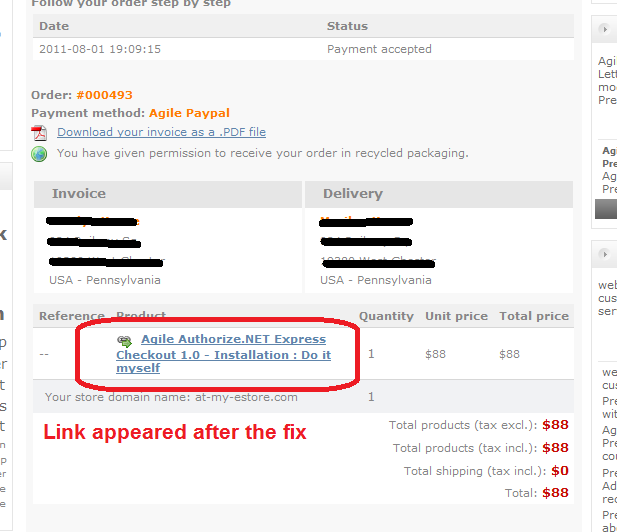 I have download product (prestashop module), with one required text fields let customer to input store domain name. Before I set the customized field, everything works fine. 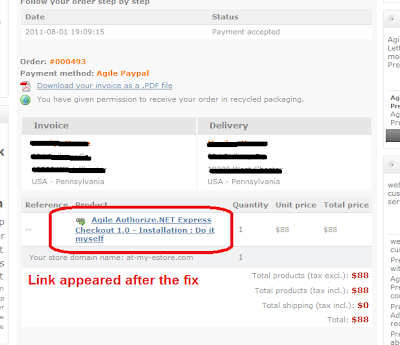 But once I add the required customized filed, the link disappeared. You need to replace one line of code at location in this file as shown with code followed. Here is screenshot after the problem is fixed. 24 hours I am trying to find a solution!